This is our last day in Maynard Country. 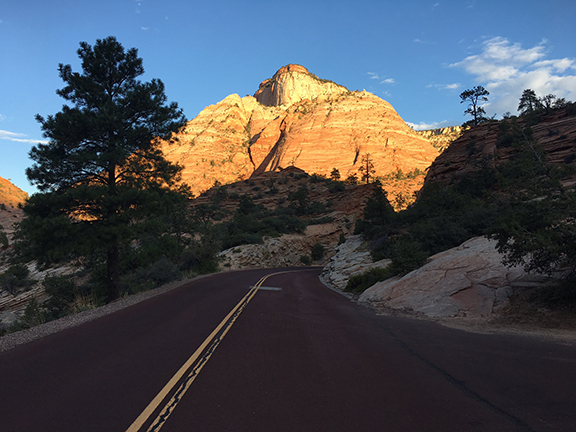 Had a great little road trip yesterday, taking in Zion, Pipe Springs and Bryce Canyon. Amazing country. 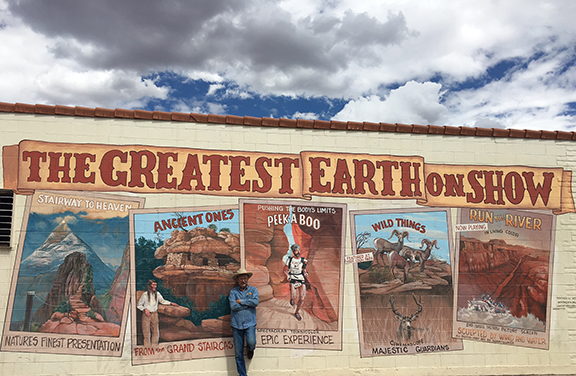 BBB in front of a clever play on words on the side of a gas station in Kanab, Utah. Daily Whip Out: "Maynard" From a photograph that hangs in the living room of his cabin. Maynard's art studio where I am finishing up work on my Wild Bill book. 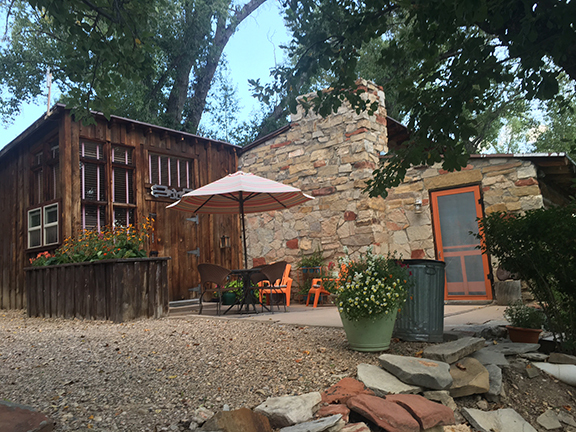 Maynard's cabin and studio are located about halfway between Zion National Park and Bryce National Park, in Long Valley, on the southwestern edge of the Escalante Desert. 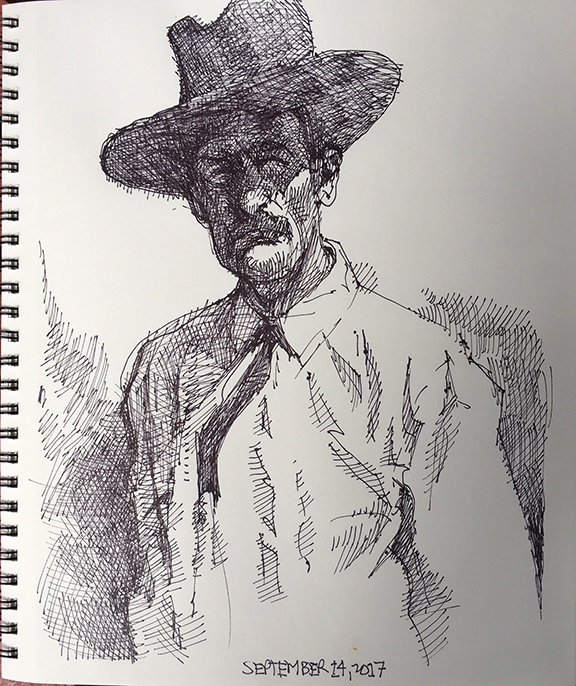 After Maynard's death in 1946 (he died a month before I was born), Dixon's wife transferred the ownership of the cabin to a painter named Milford Zornes who lived and worked here for 33 summers. There is a small catalogue of Milford's paintings in the cabin and I have enjoyed seeing his work, as well. He was very prolific and lived to be 100. He was also a teacher who had good observations on art, like this"
"An artist's job is to know what to leave out." 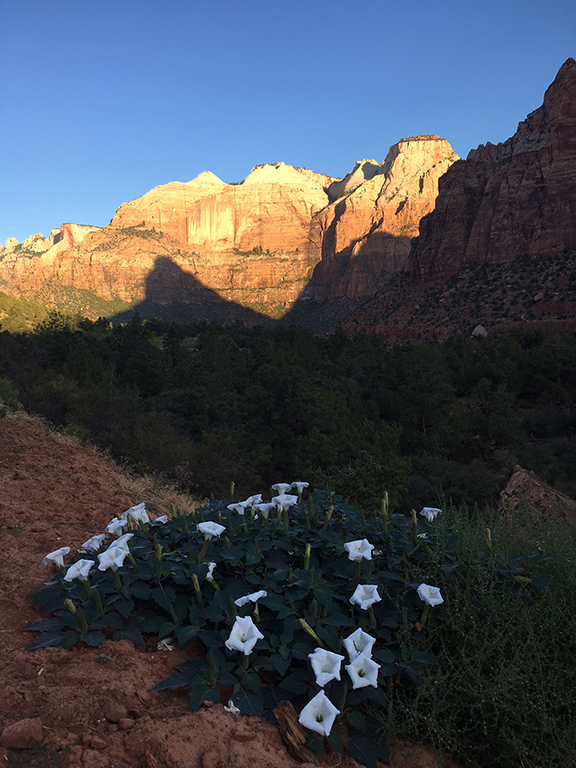 Bob, those flowers are Sacred Datura, also known as Jimsonweed or Locoweed. They are poisonous to humans and livestock. "In 1676, British soldiers were sent to stop the Rebellion of Bacon. Jamestown weed (Jimsonweed) was boiled for inclusion in a salad, which the soldiers readily ate. The hallucinogenic properties of jimsonweed took affect. PS -- Thanx for sharing the other photos that you had on your blog. It was my first visit there and surprised me to find that he still carries a lot of interest in the western circles. I think he's awesome. i guess you do too. Was Hickok A Hopeless Drunk at The End?